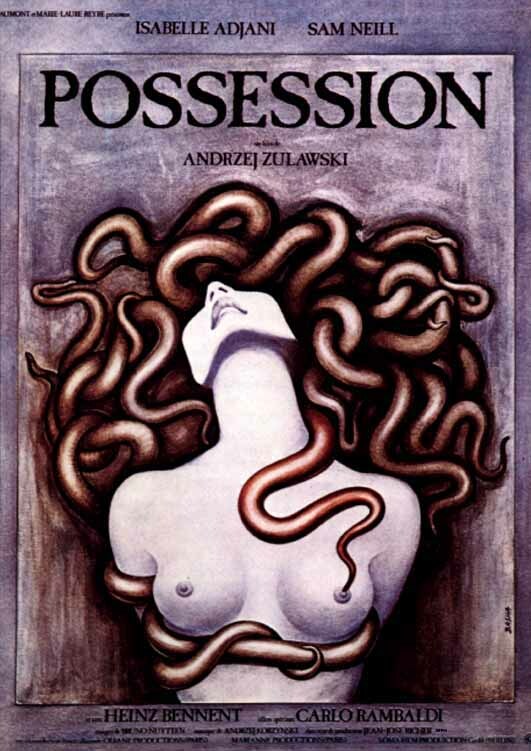 Well, where does one start with Andrzej Żuławski’s Possession? Pretentious and confused metaphorical drama masquerading as horror; exploitative gross-out nonsense; or miraculous and unequalled arthouse/genre movie crossover? 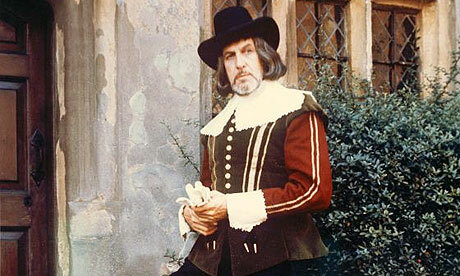 Well Possession is all these things – and a great deal more. Few single films have effectively straddled so many contrasting areas of cinema, one reason for the polarizing effect it has on audiences. After all, how many movies can claim to be an underground cult horror banned under the 1984 ‘Video Nasties’ Act as well as being a prize winner at both the Cannes Film Festival and the César Awards. Only Lars Von Trier’s Antichrist (2009), surely influenced by Żuławski’s film, comes to mind as appeasing (and equally offending) horror aficionados and arthouse respectability, but even that didn’t win at Cannes. Clearly Possession is something pointedly dangerous and extraordinary. The plot and themes of Possession could be endlessly interpreted and allegorized regardless of whether there may or may not be any actual intended meaning (and believe me there’s plenty of baffling ambiguity involving pink socks and dopplegangers) but Żuławski has naturally (and playfully) kept tight-lipped about it all. But the basic concept is clear enough when described in a single sentence: After the collapse of a marriage, the man looks after the child whilst the woman gives birth to a hideous tentacled creature. There, that’s all you really need to know. And from that the obvious implication is that dissolution of the family unit can spawn a monster. Since the film makes great play of its bleak and unforgiving West Germany setting, we could just as easily say that federal state control can spawn a monster. Also, an individual’s own selfishness and obsessive desires can spawn a monster. Maybe even religion can spawn a monster. Anything and everything could spawn a monster in this film. Isabelle Adjani and Sam Neill are Anna and Mark, the disintegrating couple in question. Sam Neill, who has since proven himself to be a consummate actor, here pitches his performance somewhere between wooden and maladjusted. 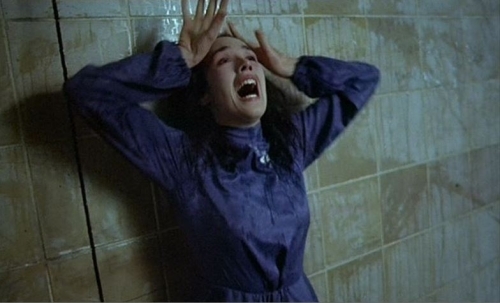 But nowhere near as unhinged as Isabelle Adjani, whose performance must rank as one of the most committed depictions of raving hysteria in all of cinema, and by committed I could just as easily be referring to an asylum. 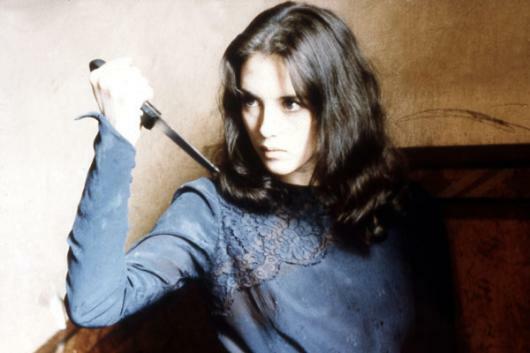 Adjani won the Best Actress award at Cannes and the Césars for a role which requires her to self-abuse with a knife, have an apparent epileptic seizure in a subway and spew odious white fluid from every part of her body. For sheer committment to the part she deserved every award she got. But Adjani and Neill both deliver their characters at just the right level of warped lunacy appropriate for the film, because in the end Possession is all about being compulsively trapped in the experience of watching it for the entire 2 hours. Regardless of its muddled thinking, as a purely cinematic experience Possession is the greatest ordeal imaginable. It’s a masterclass in sustained frenzy, as excessive as it is exacting. Considering the film’s overlapping cult horror/arthouse credentials it’s not surprising that, depending which camp you’re in, Possession has been criticized as compromising and not fully exploiting either field. 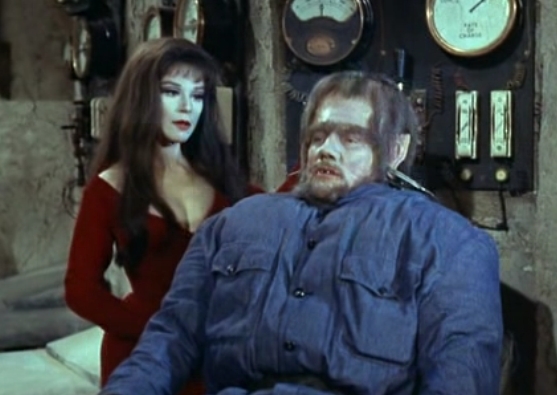 But for my money, this is horror filmmaking in its purest sense. Scenes of startling horrific content punctuate an overall tone of unremitting fever pitch. When they strike, the horror elements are unquestionably brilliant, the best the genre has to offer. The taut atmosphere and surrealist slant recalls Polanki’s Repulsion (1965) and The Tenant (1976) – further examples of mental angst in rundown bed sits – or Skolimowski’s Deep End (1971) and The Shout (1978) (there’s clearly something special about Polish-directed English language psychological horror!). The disgusting tentacled creature itself is a wonderful achievement, designed by Carlo Rambaldi a year before winning plaudits as the creator of E.T. – The Extra Terrestrial. A gruesomely tactile creation, dripping with repulsive detail – only David Cronenberg has achieved the same level of graphic monstrosity. It’s no surprise that, for a film which gradually escalates the level of horror throughout, Possession concludes with levels of stylish and extravagant violence to make any Giallo proud. Possession is an exhausting, perplexing and revolting experience. Every self-respecting horror fan simply has to put themselves through it. A Masterpiece.